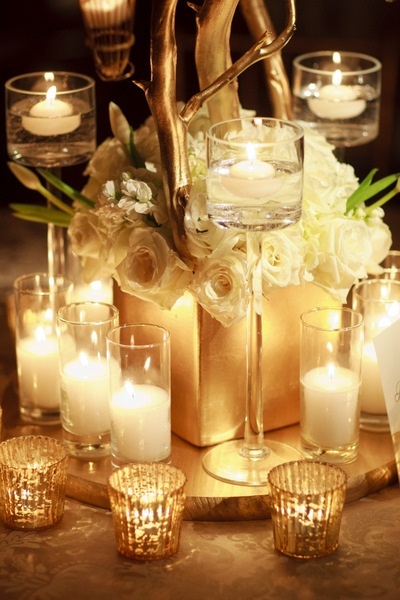 When I envisioned the tablescape for our wedding, I definitely wanted to incorporate our theme of gold and ivory. 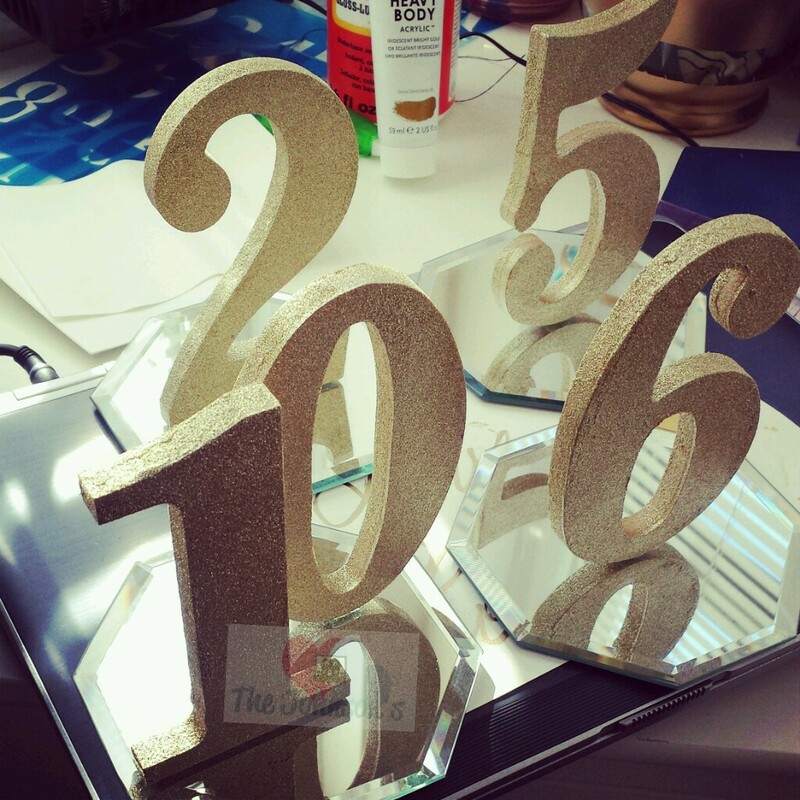 Our wedding planner, Ebony, at My Sparkling Event suggested these GORGEOUS table numbers from Ten23 Designs. I fell in L-O-V-E immediately. She even set it up that I could do a bride-share with another bride that was getting married the week after us. I was 100% on board…until I told Harvey. He asked me one question that brought me back to reality: “Is it in budget?” Le Sigh…. after being disappointed but understanding, I realized that it wasn’t. 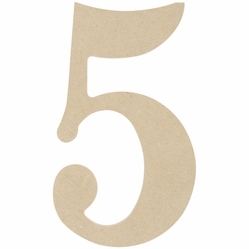 The numbers weren’t very expensive but every little bit of money helps when planning a wedding. 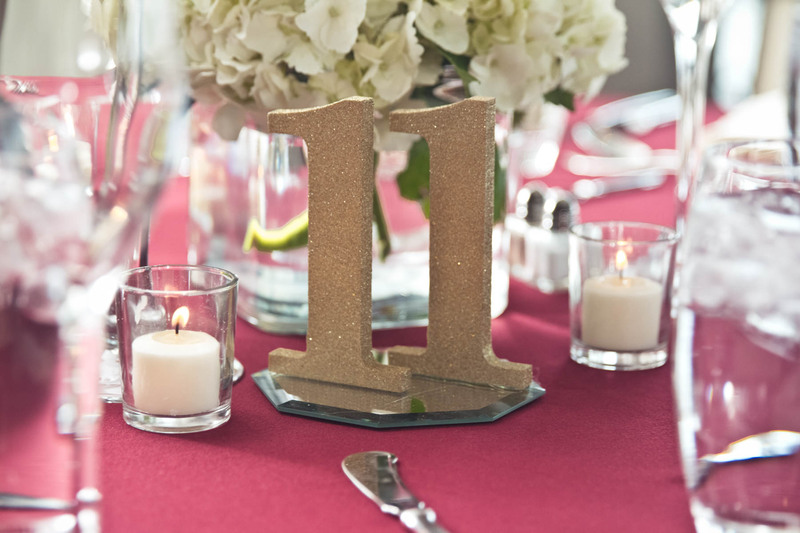 With determination in mind, I jumped on Google and searched for DIY table numbers. I immediately fell in love with this number 6 from Confetti Day Dreams Top 20 List and decided to get to work. I went to Michael’s first and their numbers were a little more than I wanted to spend. 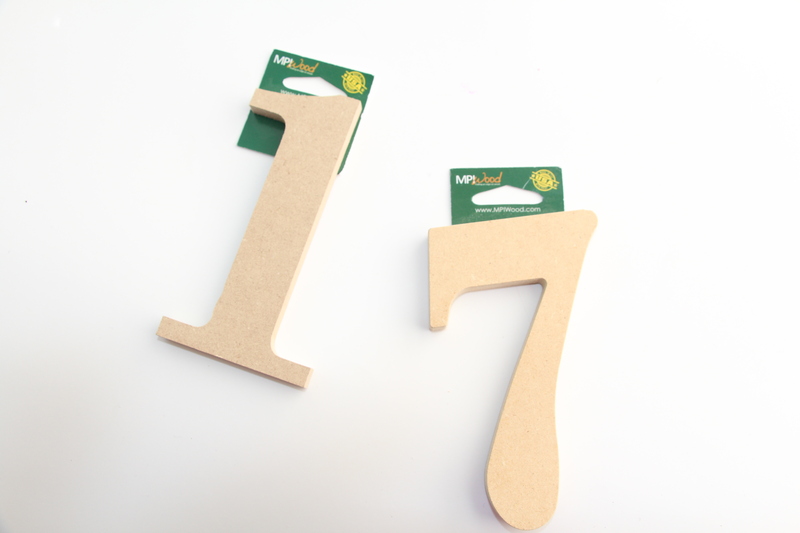 I was searching for wooden numbers in the $1-2 range. A bit unrealistic? Maybe. In the meantime, I also bought some Martha Stewart Fine Glitter* and 2 cans of Krylon Glitter Blast in Golden Glow *. Then one day while doing some shopping in Walmart, I stumbled upon these beauties. They were a pretty font as well and I was sold! Note: My Walmart only had the 5 inch version for $1.48. The 9.5 inch version is available online. When I got home, I immediately got to work and tried to cover a number 3 with Modge Podge and the MS Glitter. Ummm…that didn’t work out so well. It also didn’t have the polished look I was hoping for. The next day, I decided to try the Krylon and it worked! I finished painting the first batch in about an hour. I had to go back to Walmart another time because they didn’t have enough ones, sevens, or twos. In between, the Walmart trips, I went back to Michael’s. Yes, I hate multiple trips so it was no picnic. Not to mention they are on opposite sides of town. While in Michael’s I found the mirrors I was looking for; unfortunately, I didn’t want to pay $5 for them. I bought 1 octagon and 1 square just so I could see what they looked like completed and if it was worth the money. That same day, I happened to stop at a Dollar Store on my way home and found a case of 12 small octagon mirrors! Man…God was really looking out for my wallet that day. Everything was finally coming together! 5) All DONE! Stand up, stretch your legs, and admire your handy work. You really can’t beat that price!! P.S. 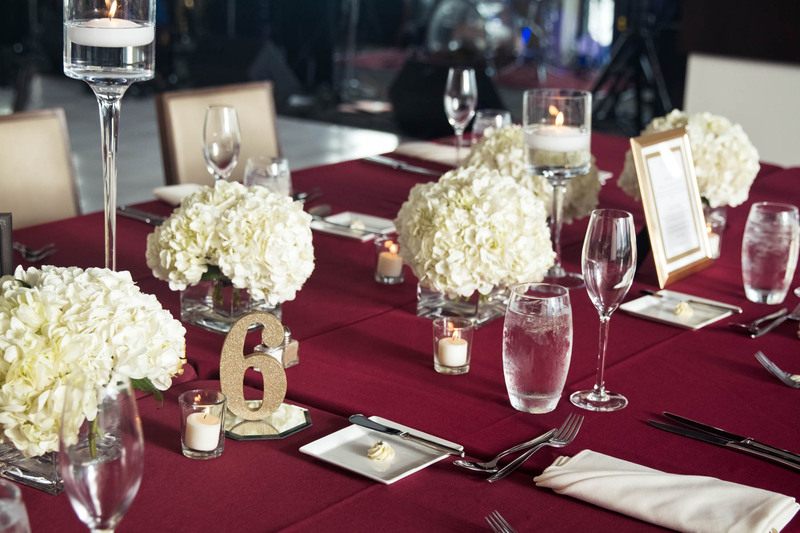 Against the burgundy linen at the wedding, they were gorgeous! When I get the photos back from the photographer, I will update this page.